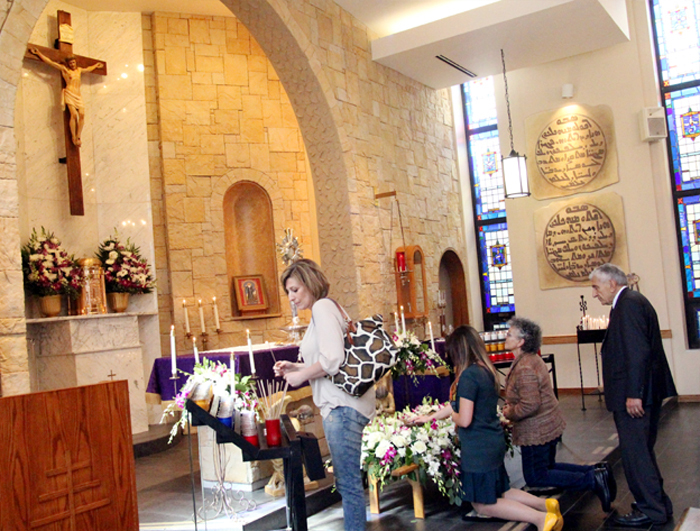 Irena Jankowski and Father Tadeusz Gorka pray before the relic of St. Sharbel Makhlouf at St. Maron Church in South Philadelphia. 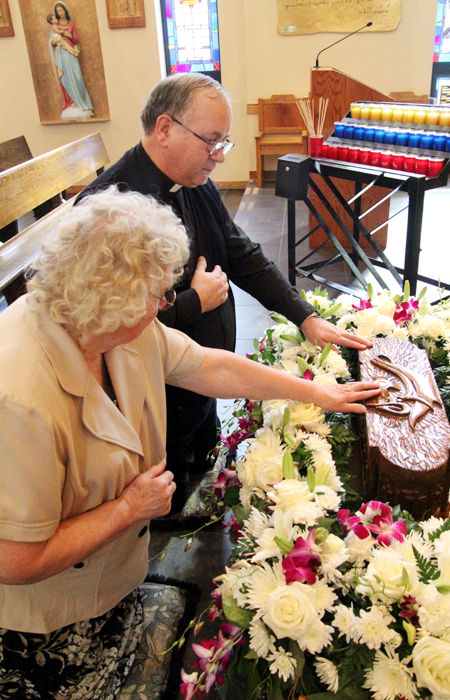 Zofia Rynkiewicz traveled all the way from State College to venerate the relic of St. Sharbel Makhlouf at St Maron Church in South Philadelphia. 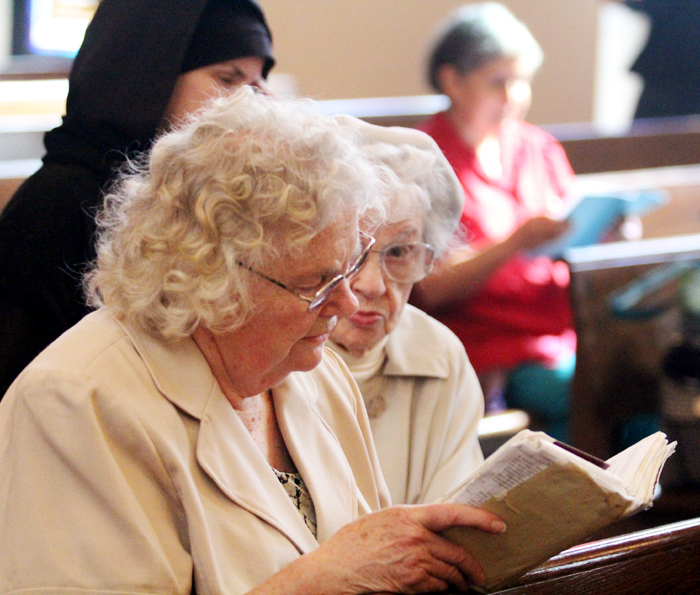 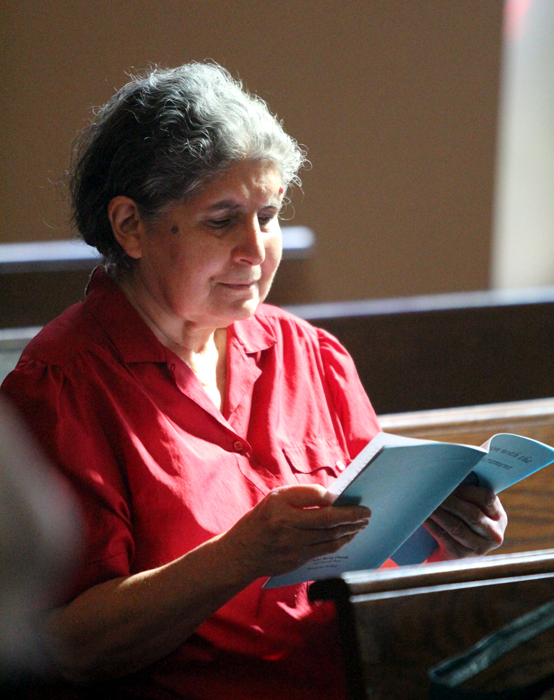 Irena Jankowski reads her prayer book. 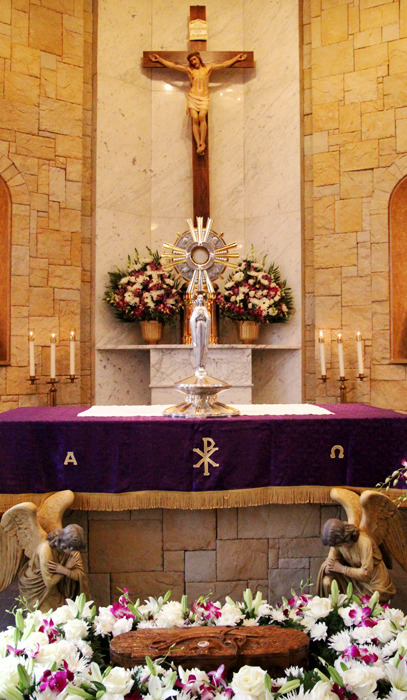 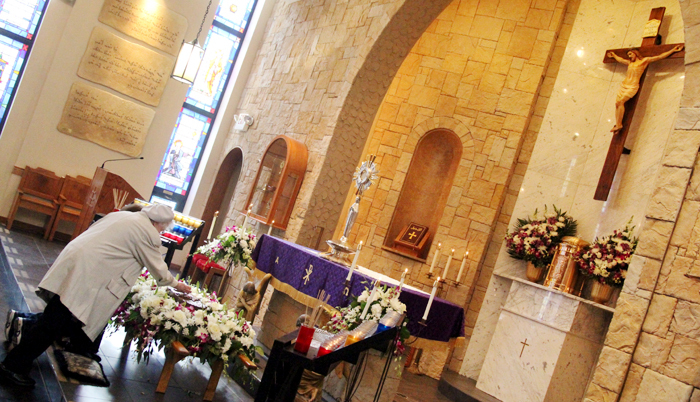 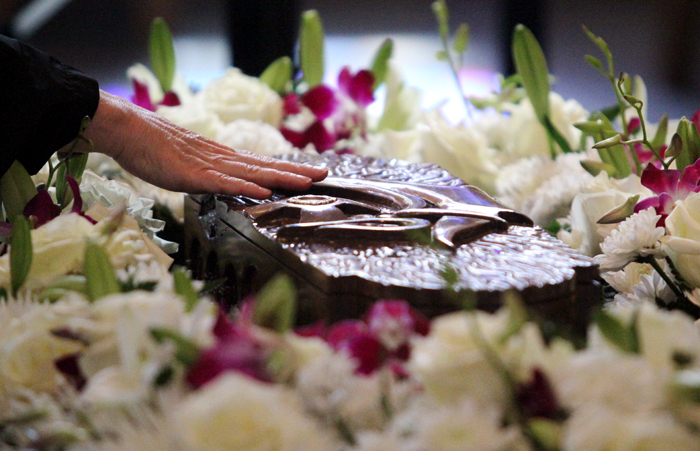 Sonia Puma traveled to St. Maron Church in South Philadelphia from St. Martin of Tours Parish in the Northeast just to pray before the relic of St. Sharbel Makhlouf.